By the title of this blog you would think we got a big new truck or a gigantic television. No, but we did get a very useful yard gadget. For those who know our property, we live on top of a hill that connects with a steep incline into a marsh area. The hill gets overgrown with berry bushes, buckthorn, locusts and grapevines. Although I like the natural look, it get very unsightly and blocks our view especially from the lower level living area. So, a couple weeks ago my husband saw a gadget for sale on our local Buy, Sell and Give Away site. He thought we could make good use of it, so we made an offer that was accepted. It was a Black and Decker Alligator Garden Lopper. It is a chain saw with jaws. You open the contraption like a scissors. 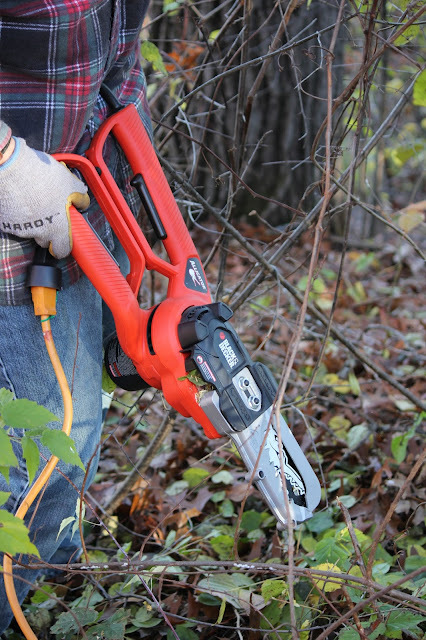 The jaws grab the branches up to 4 inches thick and then when you pull the trigger the chainsaw saws the branch. The same day we got it, we started clearing the hill. It was fun at first. We took turns and started working our way across and down the hill. Then an hour or so passed, and we could hardly see any progress. 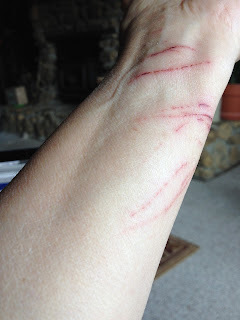 We slipped and slid on the soft dirt and my arms and legs were getting tired. At my age, I don't like to be uncomfortable. We saw no end to the berry bushes and brush. I was getting all scratched up. Pretty soon I was ready to call it a day. It didn't take very much convincing to have my husband agree. He used to be able to work outside for hours on end, but this job looked like it would take a year. I always quit when the going gets tough so it was a no brainer for me. That night I went back to the Buy and Sell site. I found a local guy who was advertising to do odd jobs. The next morning my husband called and the man came over to give us an estimate. It was reasonable and we hired him. 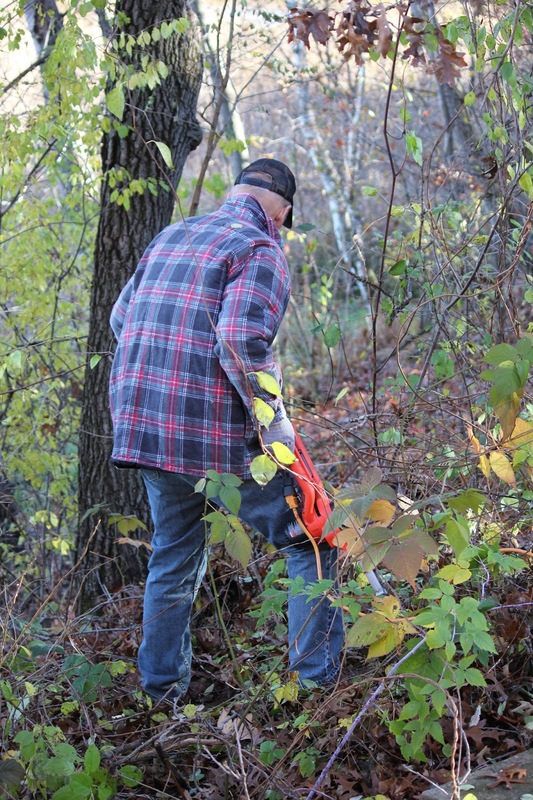 Later that week he came, used our little Alligator Loppers and finished the job in six hours. Lesson learned from this was that sometimes, especially as a person gets older, it is smarter to hire someone else to do the job. It wasn't brain surgery and all it took was a younger body with good balance, strong arms and gumption. Something we lack at our age. It was a very good decision. The hill looks great, and our bodies are still somewhat intact. High School Musical "My Fair Lady"